We are offering three pricing tiers for the shares; $480, $550, and $620. We do this in order to make our farm share accessible to a wider range of people. It is your choice to pay what works best for you based on your family's budget and circumstances. 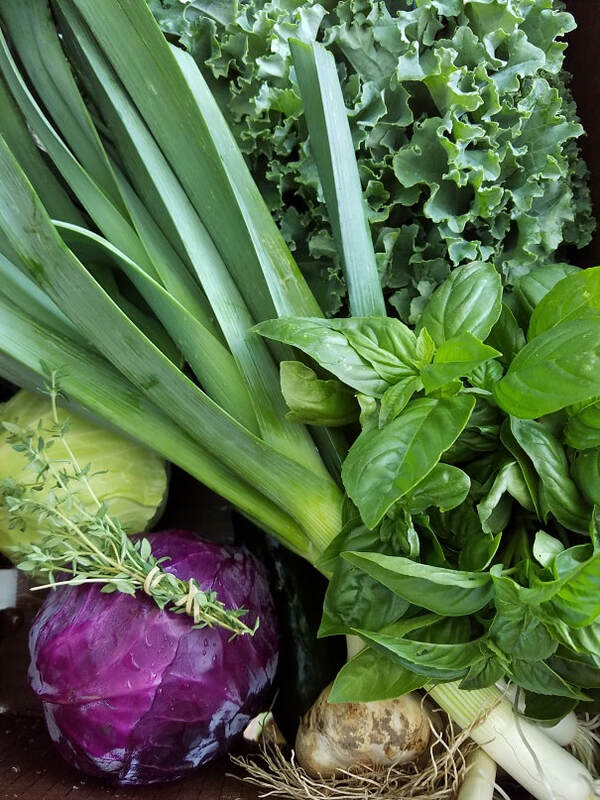 A great option for 1-2 people - half share members receive a full box of vegetables every-other week. It will be the same box and quality as full shares on those pick up weeks! There are two options to purchase a share. ​You can choose one of the full price options to pay the whole cost up front. This is helpful to us as farmers because it helps us to purchase seeds and supplies we need during a part of the year when budgets are tight. You can pay a $100 deposit to reserve your share with the balance due by July 10th. If you have any questions don't hesitate to contact us! We're very excited to share our farm with the community and hope you enjoy!